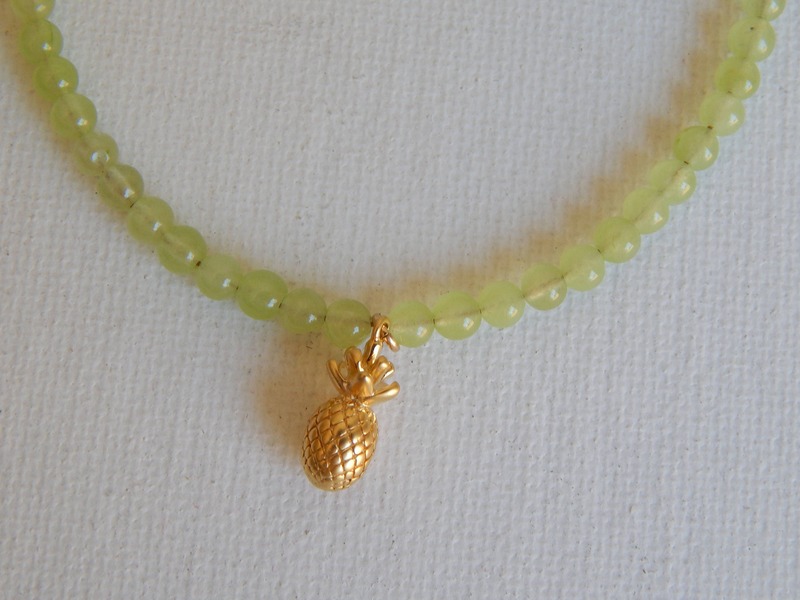 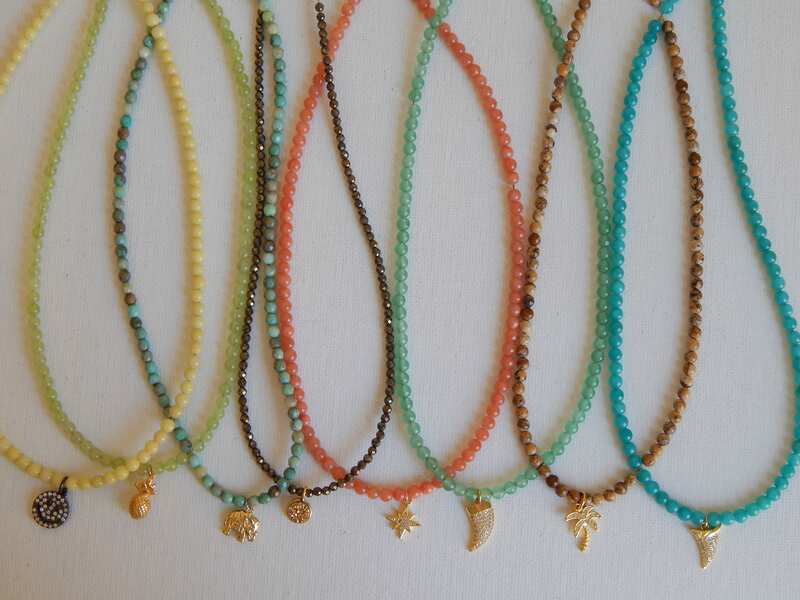 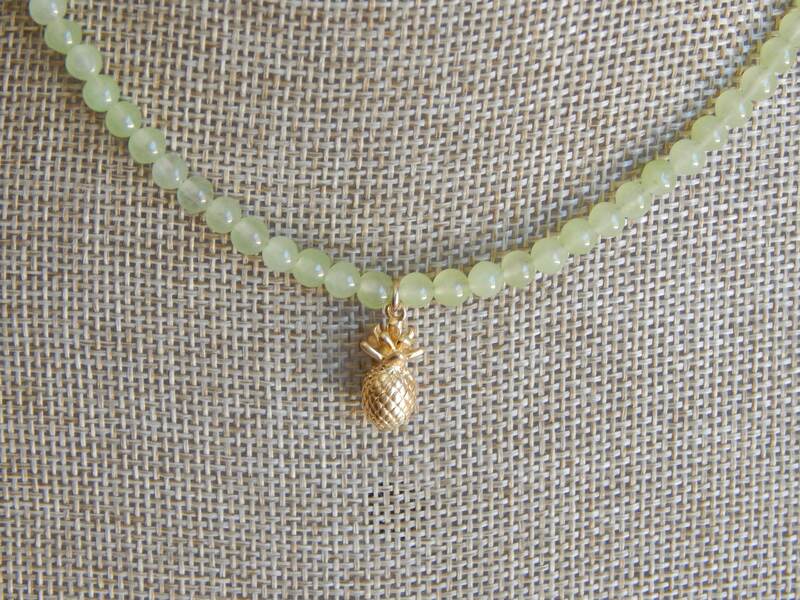 Tiny light green jade beads hold a golden pineapple charm. 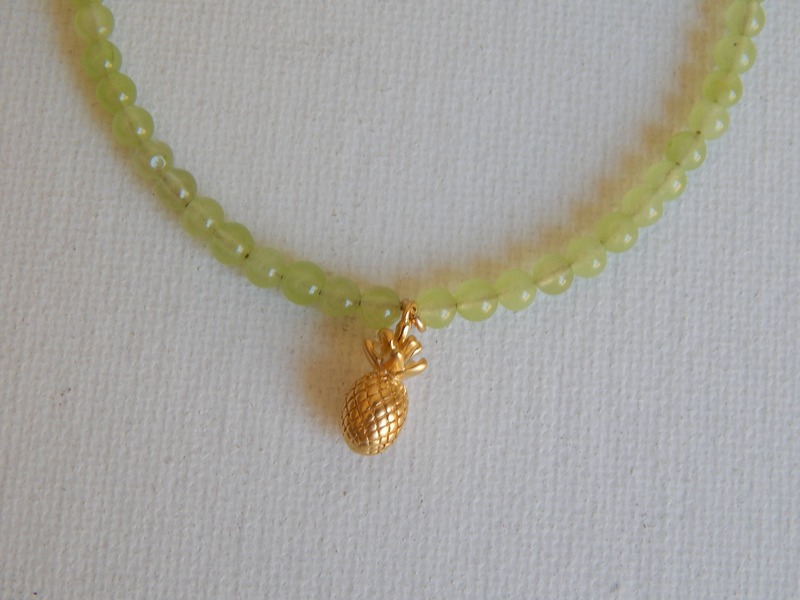 This necklace is the perfect summer accessory that will liven up any outfit and the pineapple charm adds a tropical look. 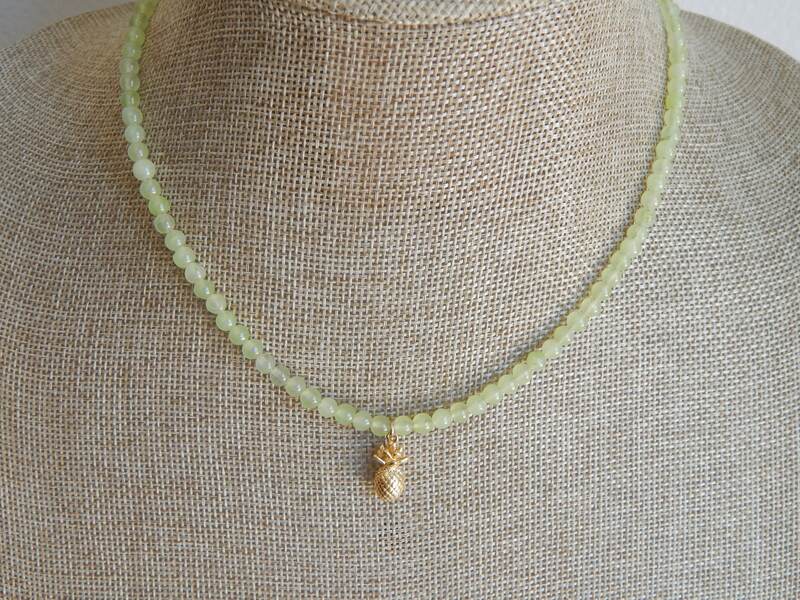 Wear alone or layer with a simple gold chain.